Are you having a sensation as if your skin was crawling, or have numbness or itching for no apparent reason? If the answer is yes, you may be suffering from paresthesia, which is defined as an abnormal sensation in the body. Paresthesia can affect any part of the body, but it most commonly occurs in the hands, arms, legs and feet. In addition to numbness, weakness, tingling or burning sensations, other symptoms of paresthesia include stabbing pain and problems with mobility. This problem may be temporary or chronic. A temporary bout of paresthesia can be due to constant pressure on the hands or feet, exposure to cold, poor circulation or a poor sleeping position. Chronic paresthesia has numerous causes, including vitamin or other nutrient deficiencies, repetitive movements, an underlying neurological disorder. Anyone can experience temporary paresthesia. Your risk of chronic paresthesia increases with age. You also may be more prone to it if you perform repetitive movements, drink excessively or have Type 1 or 2 diabetes, an autoimmune condition or a neurological condition like multiple sclerosis. 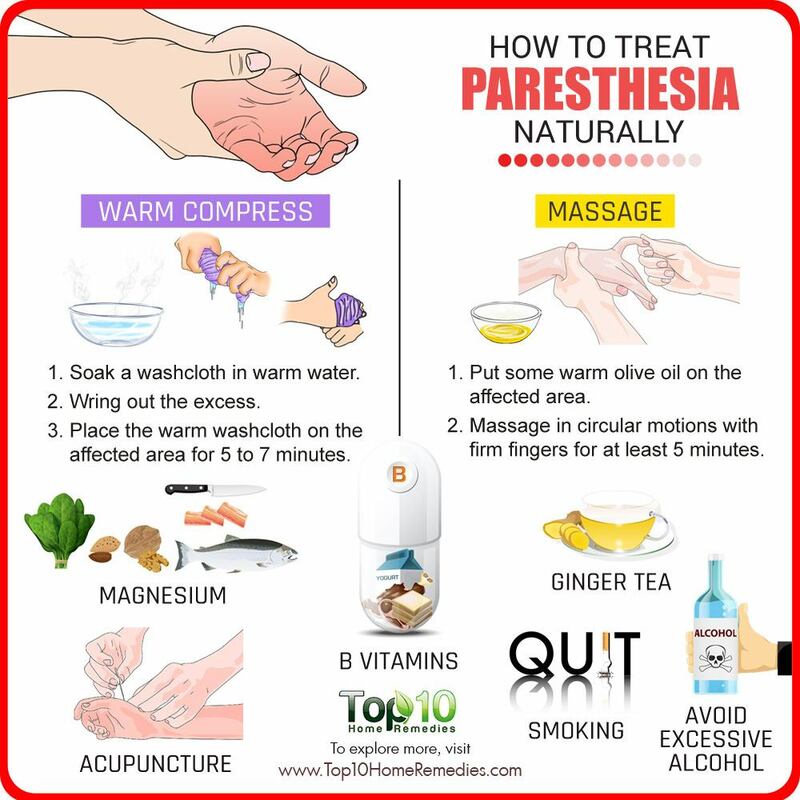 While temporary paresthesia usually resolves without treatment, you may require medical care if the paresthesia persists. Here are the top 10 ways to treat paresthesia naturally. 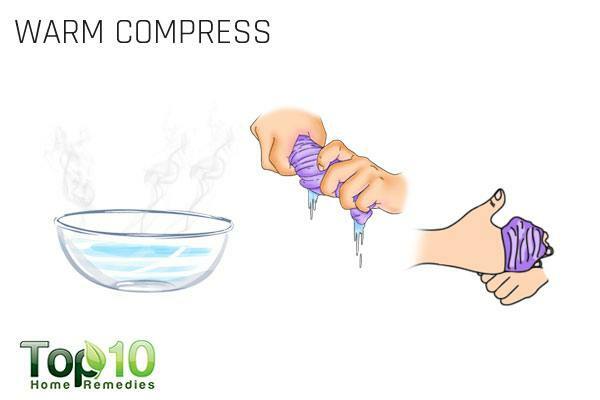 If you’re suffering from acute paresthesia, applying a warm compress can help increase blood supply to the affected area and provide instant relief from the discomforts. Soak a washcloth in warm water and wring out the excess. Place the warm washcloth on the affected area for 5 to 7 minutes. Repeat several times a day until the numbness or other discomforts are gone. You can also take a warm shower or use a heating pad to alleviate discomfort. 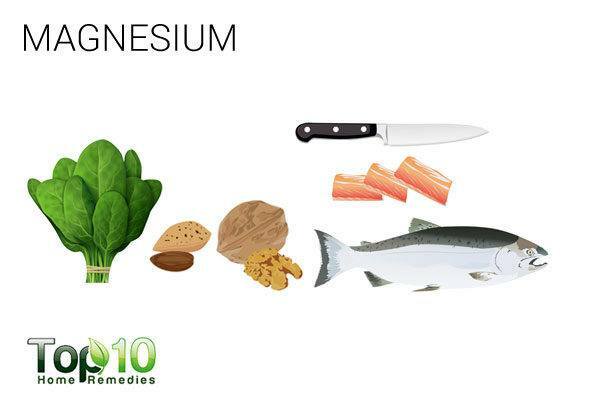 Magnesium is an essential mineral that your nervous system needs to function properly, and this is important for preventing any kind of nerve damage. It also ensures proper blood circulation in the body. In fact, a low magnesium level in the body is one of the causes of paresthesia. 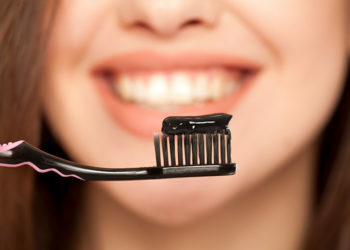 Eat magnesium-rich foods like dark green vegetables, nuts, seeds, oatmeal, peanut butter, cold-water fish, soybeans, avocados, bananas, dark chocolate and low-fat yogurt. Mix 1 cup of Epsom salt in warm bath water. Soak in this bath for 20 minutes, 3 times a week. Another option is to spray magnesium oil on your skin after your daily shower and rinse it off after 20 minutes. You can prepare magnesium oil at home. Boil 1 cup of distilled water and dissolve 1 cup of Epsom salt in it. Allow it to cool, then transfer into a spray bottle. You can store this oil up to 1 month. You can opt to take magnesium supplements, after consulting your doctor first. 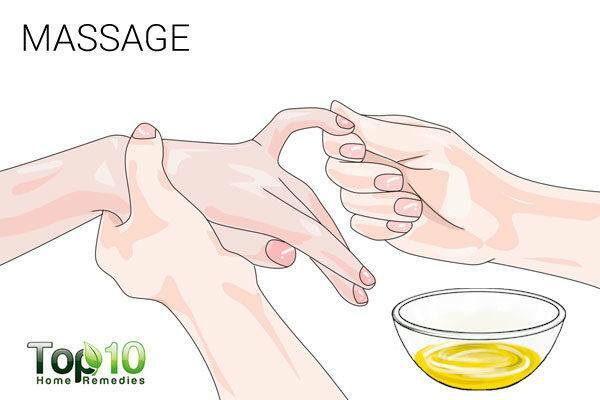 Massage, with or without oil, is also very helpful. It increases blood circulation, which in turn lessens the symptoms of paresthesia. Plus, massage stimulates the nerves and improves their functioning. Put some warm olive, coconut or mustard oil on the affected area. Massage in circular motions with firm fingers for at least 5 minutes. Repeat a few times a day. 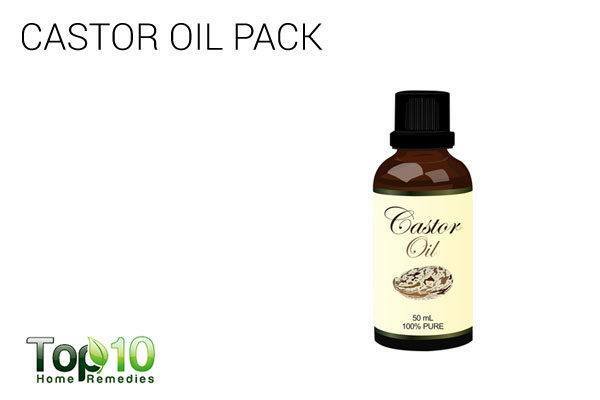 Castor oil is another great remedy to relieve paresthesia discomforts. It penetrates deep into the tissues and helps relieve the discomforts. Plus, castor oil packs have a balancing effect on the nervous system. Saturate a thick cotton cloth with castor oil. Loosely wrap it around the problem area. Cover with a plastic wrap. Place a heating pad over the wrap for 20 to 30 minutes. Remove the heat and let the castor oil pack stay on the affected area for a few hours, preferably overnight. Do this 4 or 5 times a week. To ensure proper nerve functioning and reduce the discomforting symptoms of paresthesia, you must provide your body with adequate B vitamins. In fact, a deficiency of B vitamins, especially B1, B6 and B12, can cause numbness in the body. For vitamin B1, eat foods like peanuts, wheat bran and Brazil nuts. For vitamin B6, eat avocados, bananas, meats, beans, fish, whole grain cereals like oatmeal, milk, cheese, yogurt, nuts, seeds and dried fruits. For vitamin B12, eat meats, fish, eggs, low-fat dairy foods and fortified cereals. 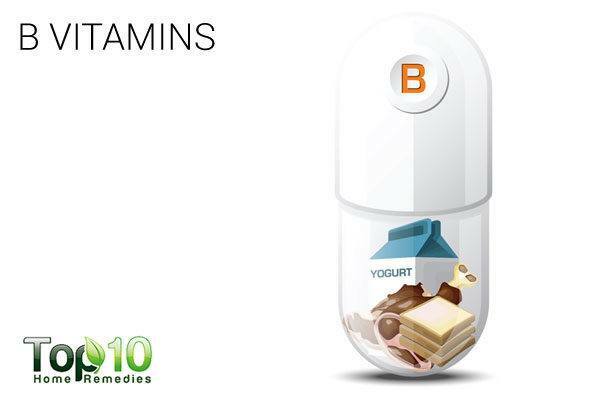 You can opt to take a vitamin B-complex supplement, after consulting your doctor. Another good treatment for paresthesia is to do some basic stretches or exercise a little to improve your blood circulation. Moreover, regular exercise improves mobility and prevents many health problems. Also, exercise helps control blood sugar levels, which is particularly important for diabetics who have a higher risk for this condition. Enjoy 30 minutes of walking, twice daily. Bicycling, jogging or swimming on a regular basis will also improve blood circulation. Cardiovascular workouts and aerobic exercises for 30 minutes, 5 days a week, also will help a lot. You can also try yoga, but be sure to learn the postures correctly. 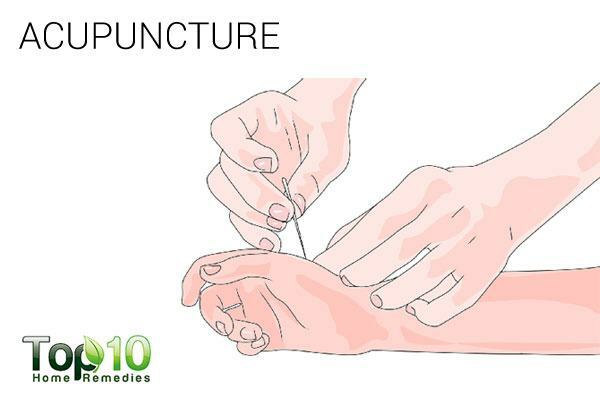 You can rely on acupuncture, a part of traditional Chinese medicine used for thousands of years, to treat paresthesia. In acupuncture, thin needles are inserted in and around the affected area to address the cause of the abnormal sensations. There are many acupoints, which when stimulated improve blood circulation throughout the body. It is best to have acupuncture done by an expert who specializes in it. It may take a few sessions to resolve the problem. Ginger can help improve blood circulation and reduce paresthesia symptoms. It contains compounds that have a warming effect on the body, resulting in better blood circulation. It also stimulates the nervous system. Drink ginger tea 2 or 3 times a day. 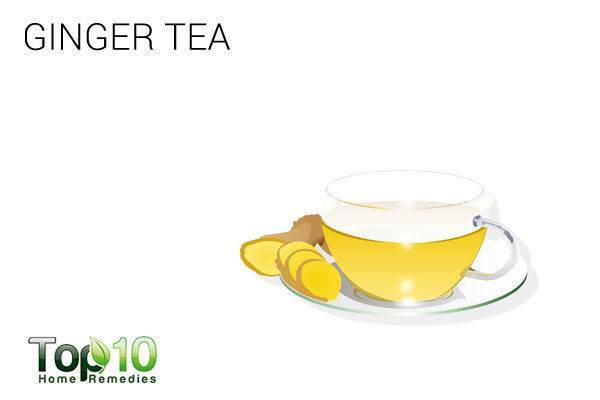 To make the tea, boil 1 tablespoon of thinly sliced ginger in 2 cups of water for 10 minutes. Strain, add honey and drink it. Another option is to take ginger tablets, only after consulting your doctor. Alcohol can worsen peripheral neuropathy and can aggravate the symptoms of paresthesia. Also, it has a detrimental effect on your blood circulation and nerve function. Hence, it is best to stop drinking totally or at least limit your alcohol consumption. 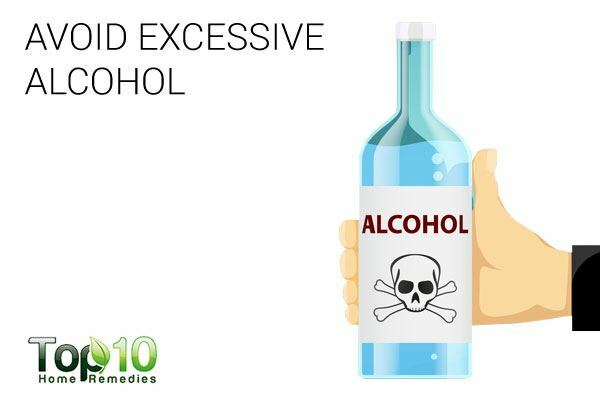 According to the Dietary Guidelines for Americans, moderate alcohol consumption is defined as having up to one drink a day for women and up to two drinks a day for men. In the U.S., one drink is equal to 12 ounces of beer, 5 ounces of wine or 1½ ounces of spirits (hard liquor like gin or whiskey). Cigarette smoking can affect circulation as well as the functioning of the nervous system, thus increasing the risk of paresthesia and other neuropathy complications. Also, smoking has negative effects on your overall health. Hence, it is best to quit smoking totally. 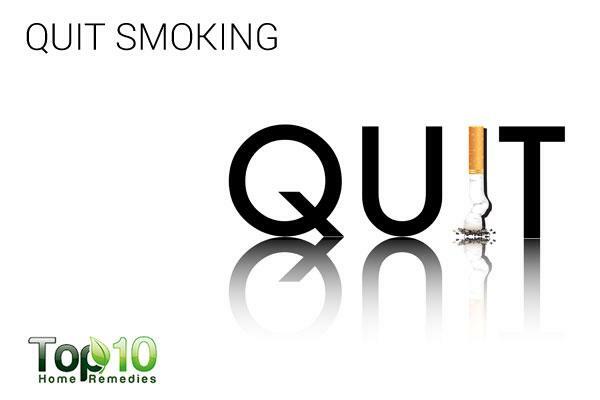 Ask for help from experts as well as friends and family members to support you as you quit smoking. Also, avoid being exposed to secondhand smoke. Wear wrist splints at night to reduce compression of the nerves in your hands and prevent paresthesia at night. If possible, avoid repetitive movement. If you need to perform repetitive movements, take breaks and rest often. Apply a capsaicin cream on the affected area to get relief from the symptoms. Wearing loose-fitting clothes and shoes can also be helpful. Make sure you get adequate vitamin E regularly to ensure proper neurological function. Avoid factors like cramped positions or exposure to toxic chemicals that can cause nerve damage. Maintain good posture and a healthy weight.